Picture Halls...." kin a go tae the pictures Mammy?" Well this is where it used tae be !! 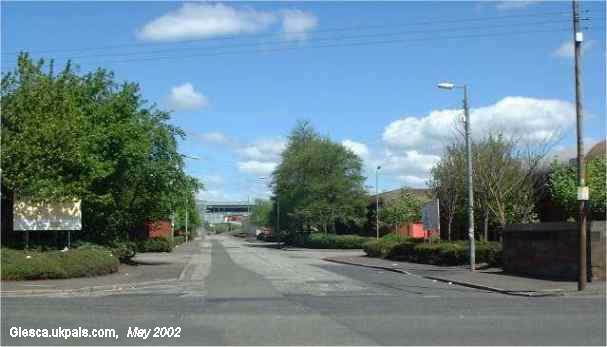 The first trees on the right as you enter Nuneaton Street is where the Plaza stood. "I remember staying in Nuneaton St....it was a very busy street. 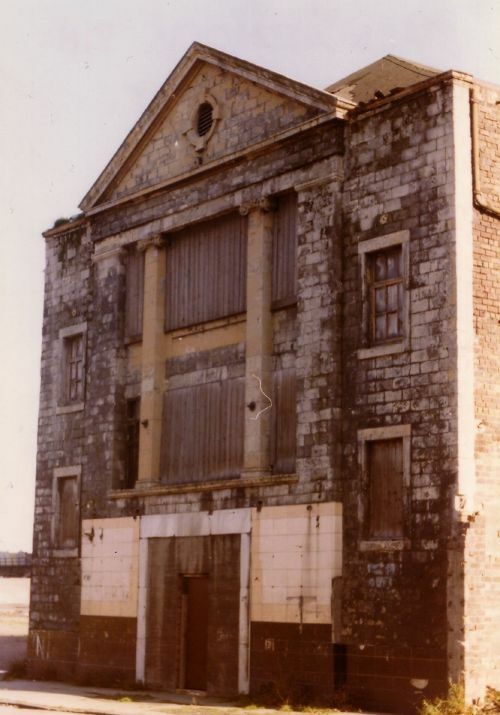 My uncle Charlie had the cobblers shop there, we had a picture hall called The Plaza, pubs, a cafe, butchers, bakers and naw nae candlestick makers......"
The doors closed for the last time 8 May 1959, it was then used as a warehouse before being demolished in 1981. 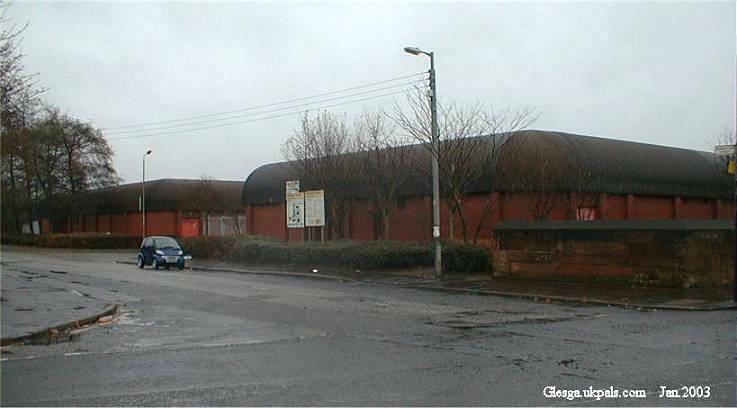 Photo of the old Plaza picture hall taken from Dalmarnock Rd looking into Nuneaton Street. Photograph below taken giving you the same view as the old photograph. Wit a great picture in the webmaster's cinema section of the Plaza, where I went on Seturday efternin when I had seen the picture showing in the Geggie on the previous night (having skipped in). Can anyone remember the wee candyball shop which wis directly opposite that sold candy lollies using rough wood lolly sticks, which gead ye splinters oan yer tongue, they also sold puff candy which I wisnae to keen oan. And wis thur no a railway just behind the pictures and you could hear the sound of the trains when watching the picture. And remember how you always got two pictures, the big and the wee wan, followed by a cartoon, usually Donald Duck or Bugs Bunny, high culture indeed eh! 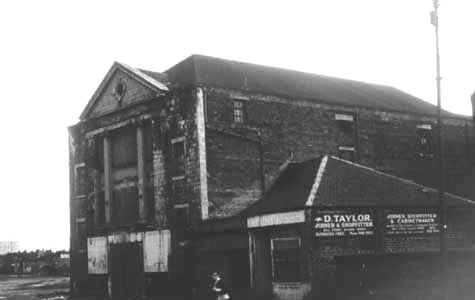 "married a lass from Nuneaton St we lived at No.327 in a single end Mother in law was a usherette in the Plaza picture house and the father in law was the charge hand in the Plaza Bar Thanks for the memories"